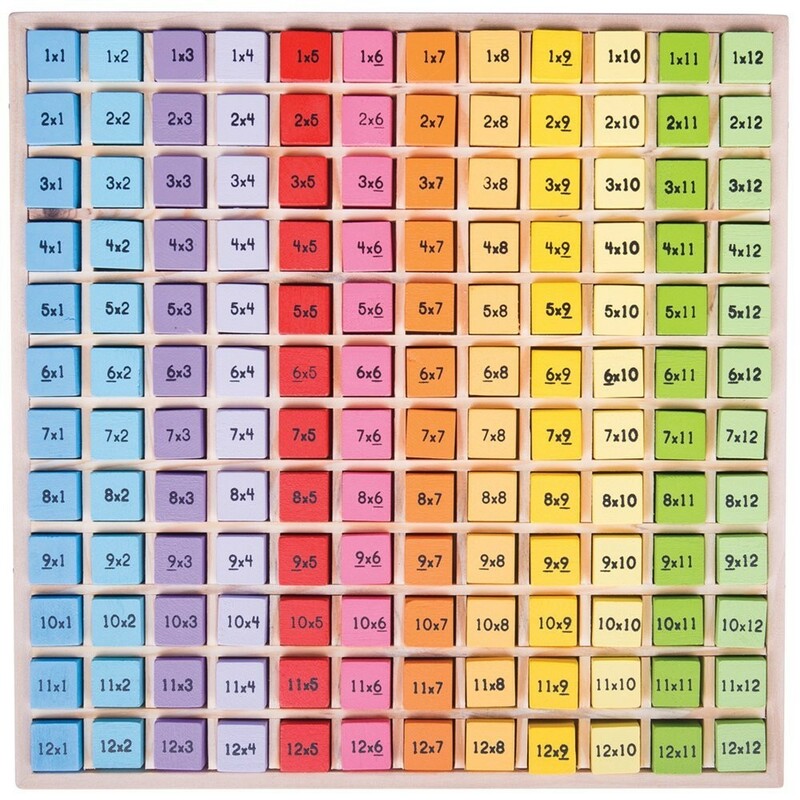 Turn each tile over to reveal the answer of the multiplication times tables from 1 to 12 with this simple and colorful Bigjigs wooden toy. 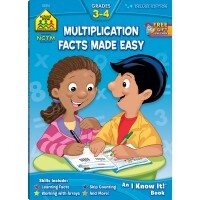 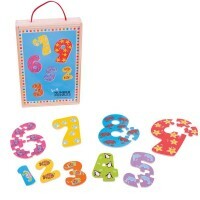 Get a head start on the fundamentals of math and multiplication with the Bigjigs wooden board. 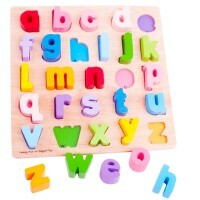 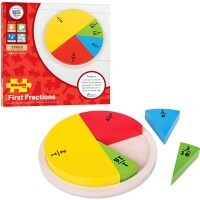 This fantastically simple educational toy will help little ones to learn their multiplication tables with ease. 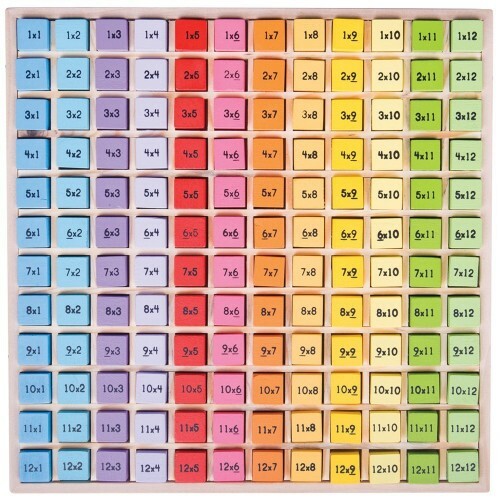 Hands-on and stimulating, the Multiplication Times Table Tray 144 pc Wooden Puzzle offers a fun way to learn times tables from 1 to 12. 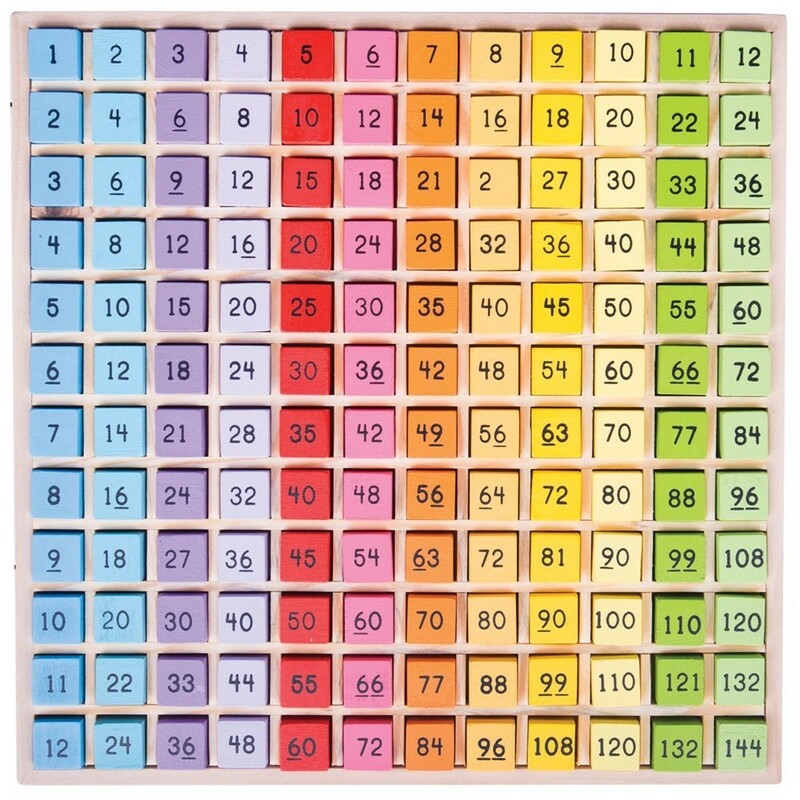 The brightly colored pieces featured on the Times Table Tray ensures young minds stay fully engaged as they work their way through times tables 1 to 12. 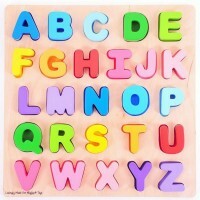 Turn each tile over to reveal the answer. 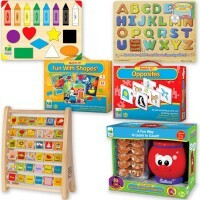 Ideal for both the classroom and playroom, this 185 piece set is a great way to hone fine motor skills and critical thinking. 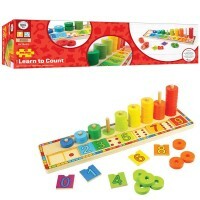 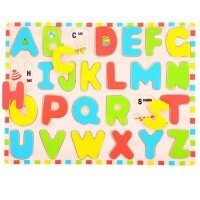 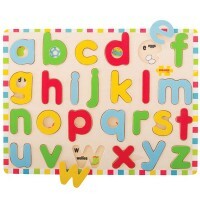 Made from high quality, responsibly sourced materials, this Educational Toys Planet's math board conforms to current ASTM and CPSIA safety standards. 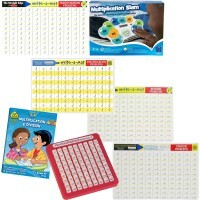 Dimensions of package 9.25" x 9.25" x 0.79"
Write your own review of Multiplication Times Table Tray 144 pc Wooden Puzzle.